Click on the location links below to get a map displaying that place. You can move the map around to find other places. Note: You may notice the word "Ejido" on Mexican locations. Curious? Click here to check it out; learn what about ejidos in Mexican history. 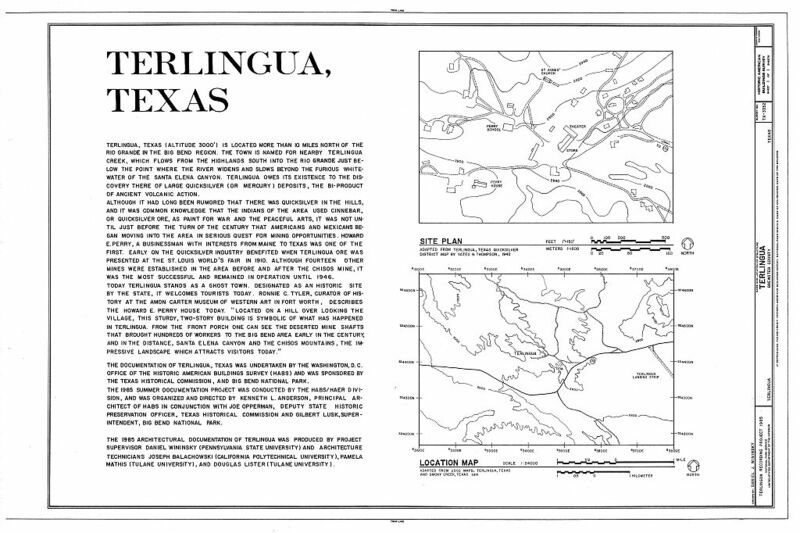 Terlingua - read "Where is Terlingua?" This video takes you from Presidio to Terlingua Ghost Town going down Farm to Market Road (FM) 179. The video is twelve minutes and twenty six seconds long. Or Click here to see it on YouTube Go to The River Road: Texas FM 179 - Presidio to Terlingua. Click here to see a trip on Ross Maxwell Scenic Drive on YouTube. 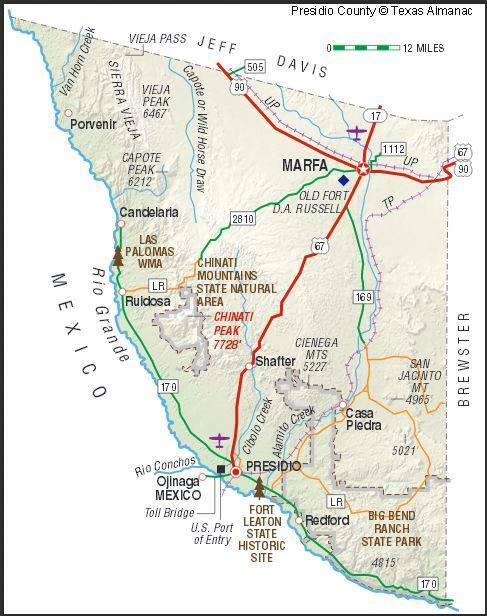 This drive begins in Terlingua Ghost Town, and heads into Big Bend National Park, then down the Ross Maxwell Scenic Drive to Santa Elena Canyon. You may enjoy these other trips at http://takemytrip.com/statemap_tx.htm We encourage you to check them out. "Tony, here is a photo of a sign that was in the Chili's Restaurant in Massachusetts of all places. I couldn't resist taking a photo of it." This page was last updated on November 20, 2013.